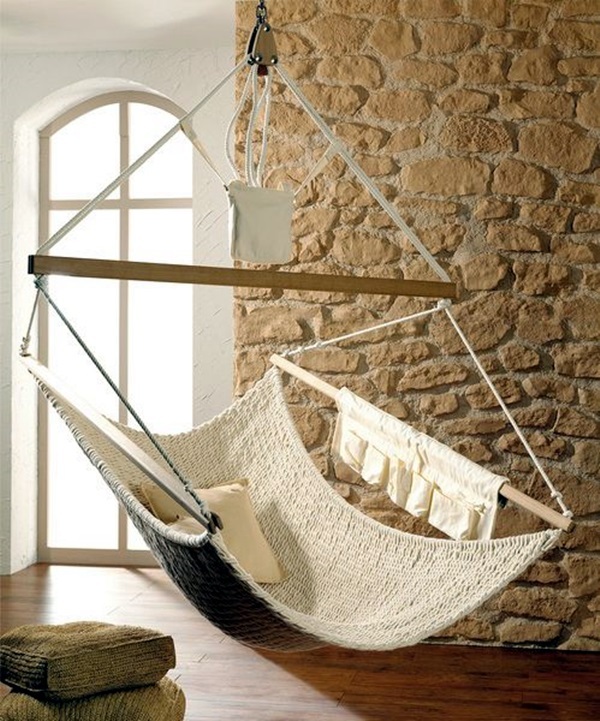 The placement of a hammock in your home or garden is something that is not just a matter of practicality and comfort but also an art. 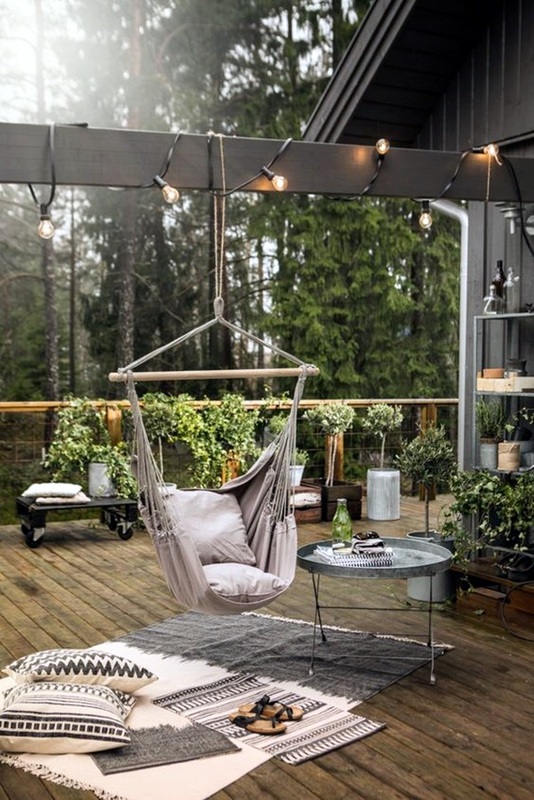 If you do not believe us, all you need to do is place a chair or even a seat in a place that does not look harmonious with the rest of your furniture to realize that what we are saying is true. 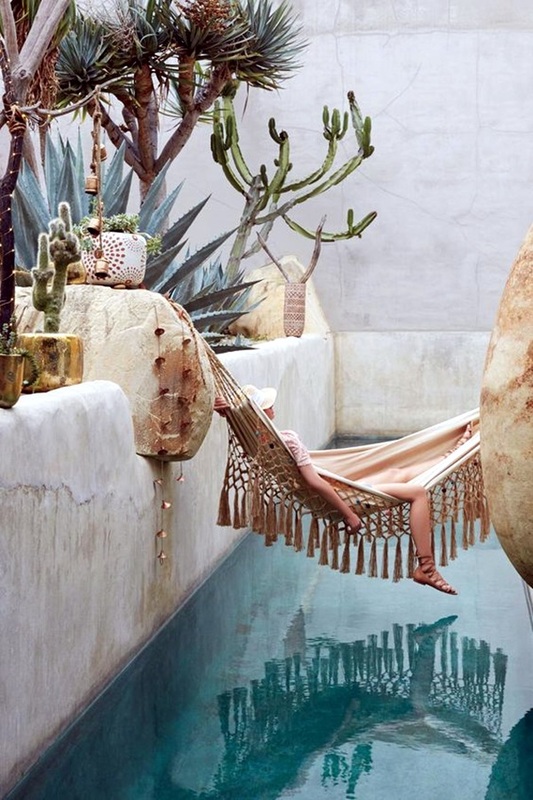 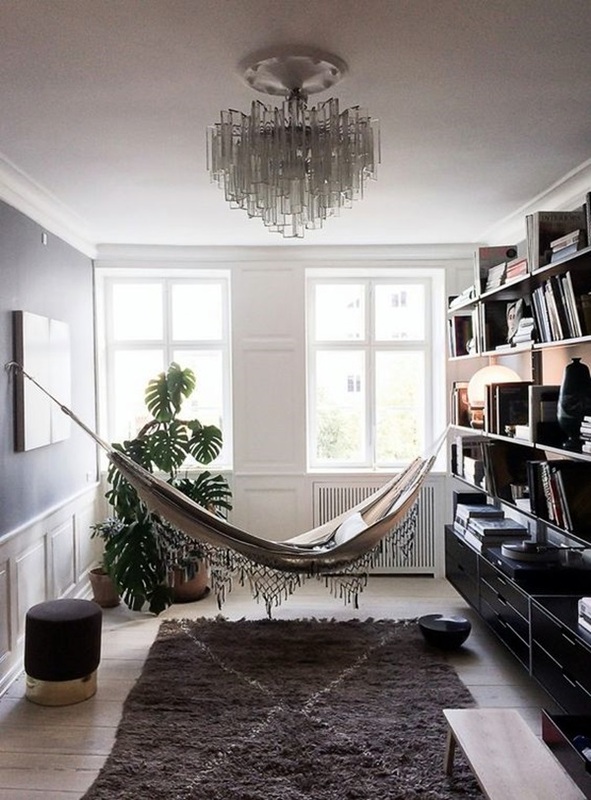 Of course, it goes without saying that the placement of hammock is an art but definitely not at the same level as sculpture or painting but it is something that has to be done with an artistic eye. 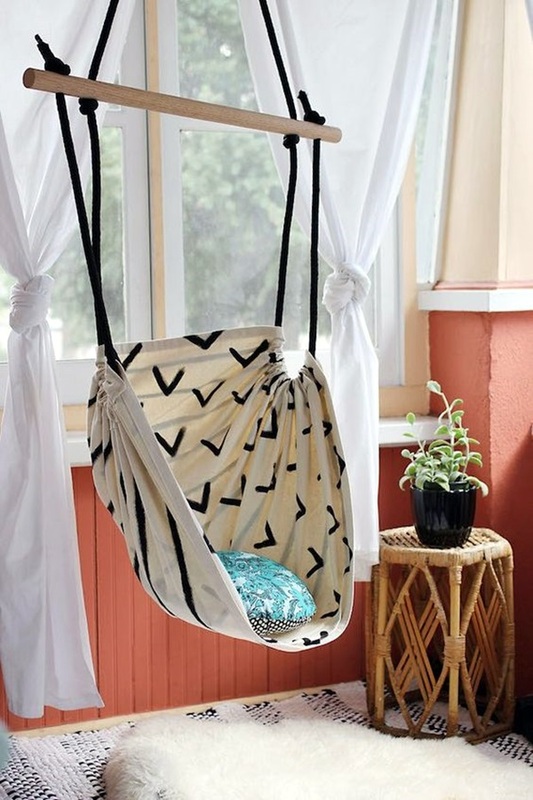 It could be one of those super smart DIY decoration ideas that adds to the aesthetics and comforts of your home. 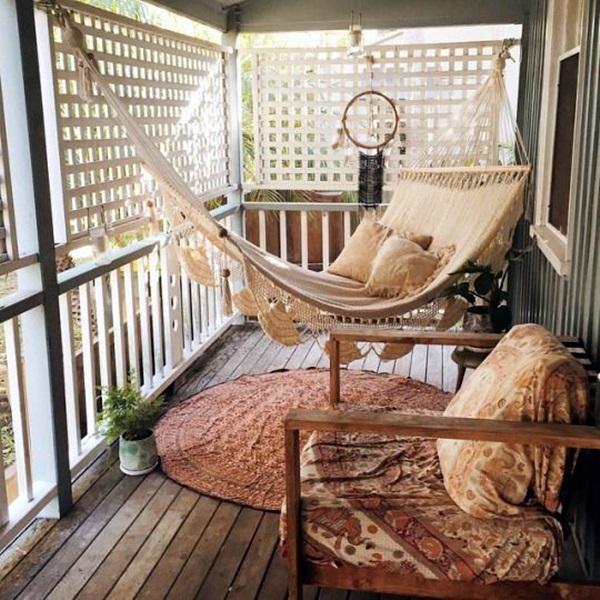 Or it could be one of those clever balcony transformation ideas that makes you feel as if you are living in a generous amount of space even though all you have is a small apartment in the middle of the city. 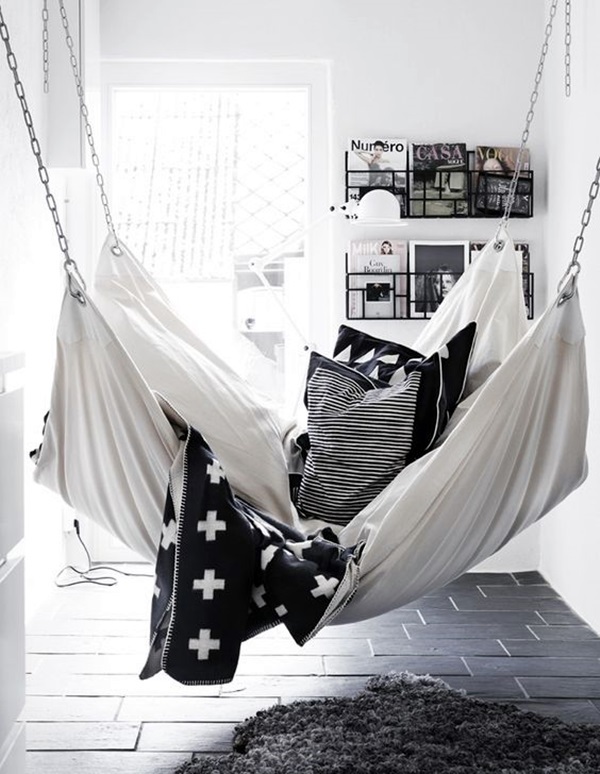 We all need that bit of space in a busy and crowded household where we can lounge and let our hair down. 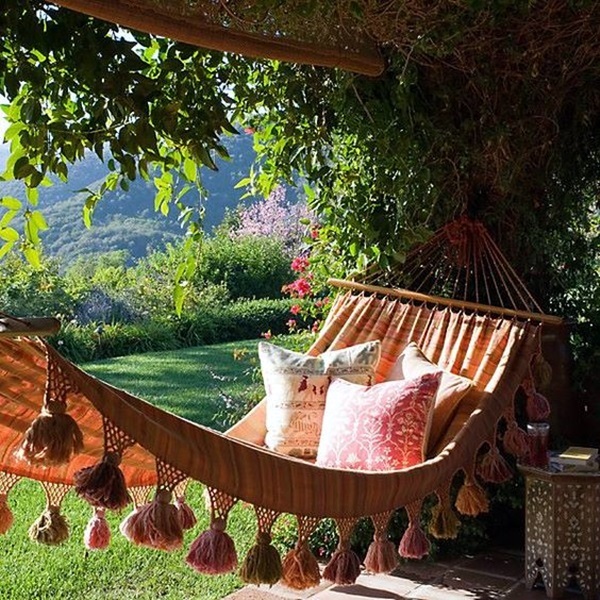 As human beings who are supposed to be social and familial, there is no doubt that we all seek that bit of comfort and privacy once in a while. 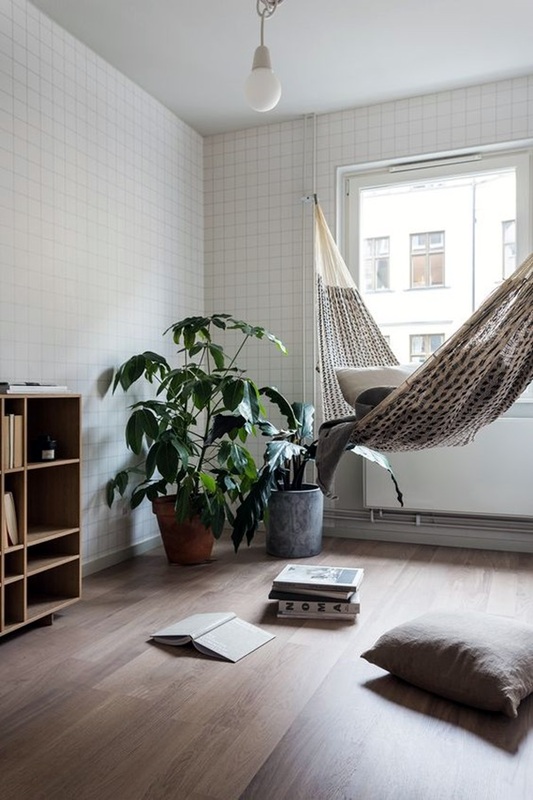 It is the need for such privacy and space that drives people to come up with a scenic and cozy window seat ideas for you and a hammock can work in this space. 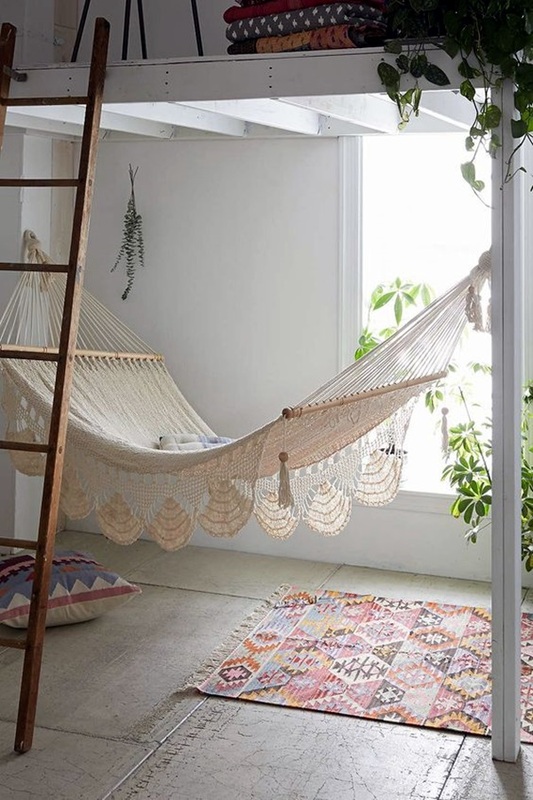 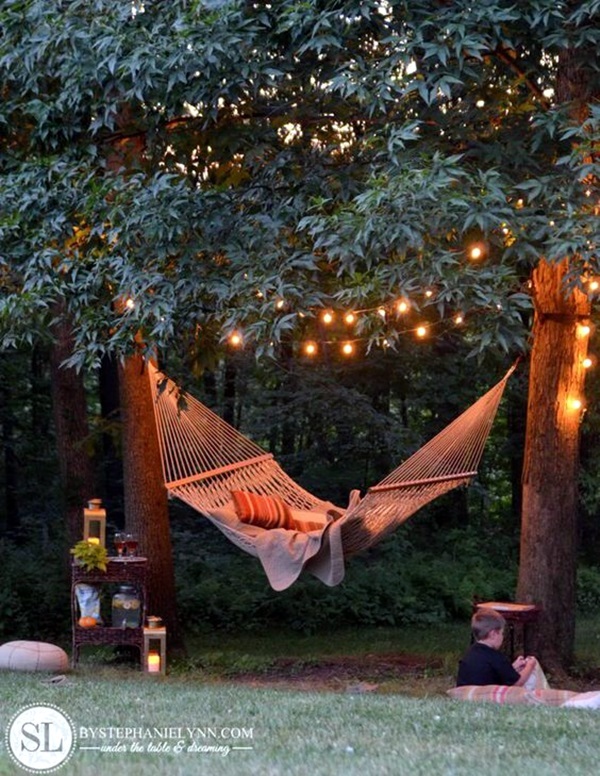 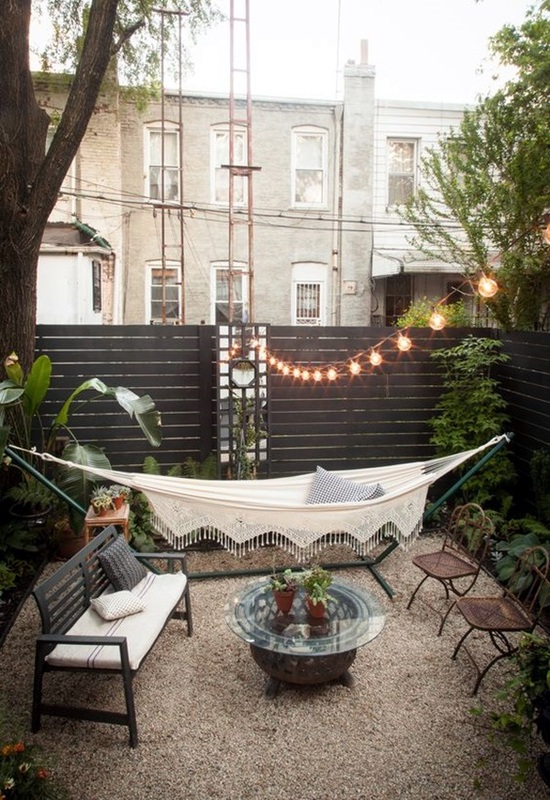 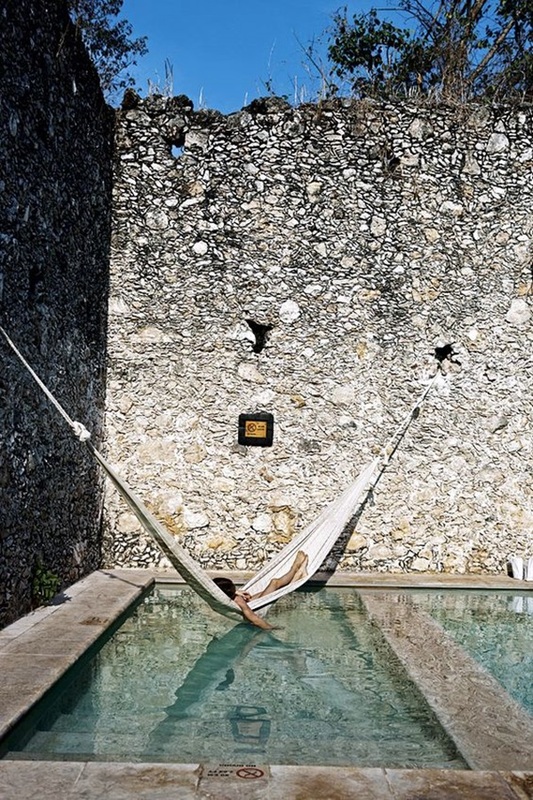 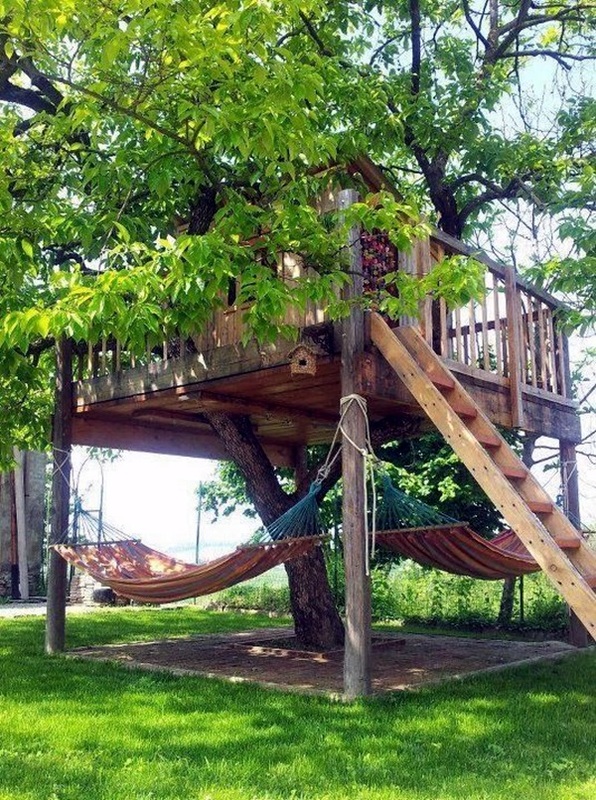 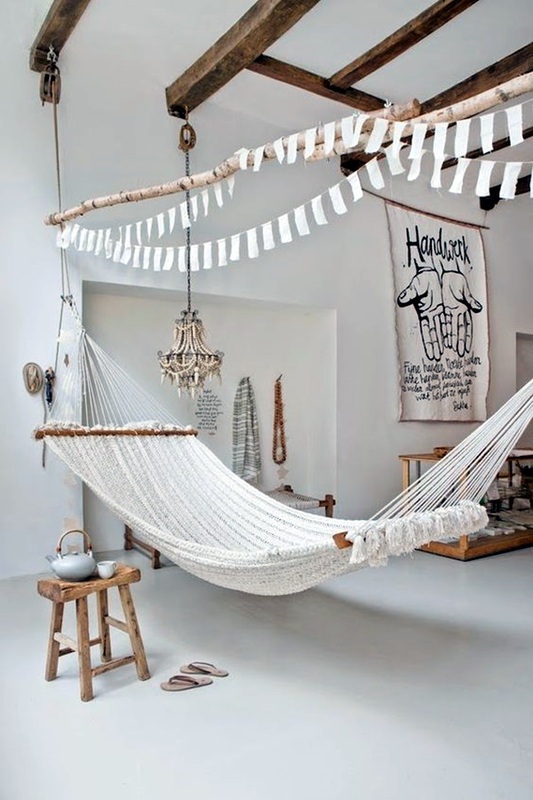 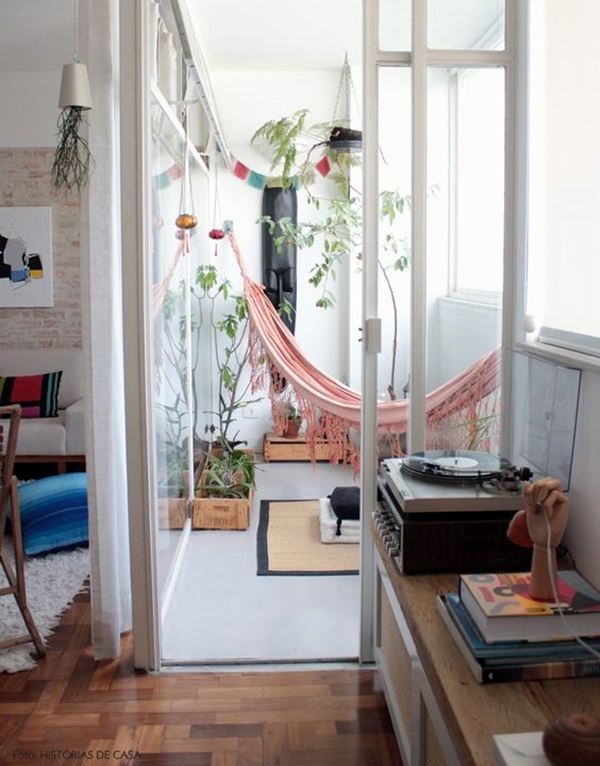 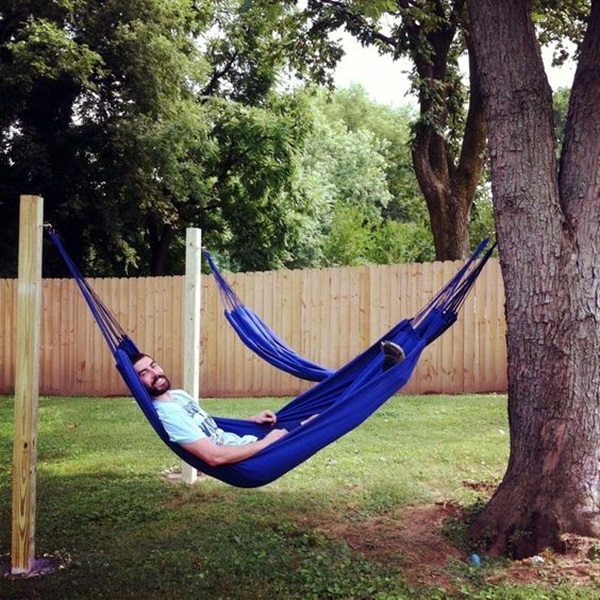 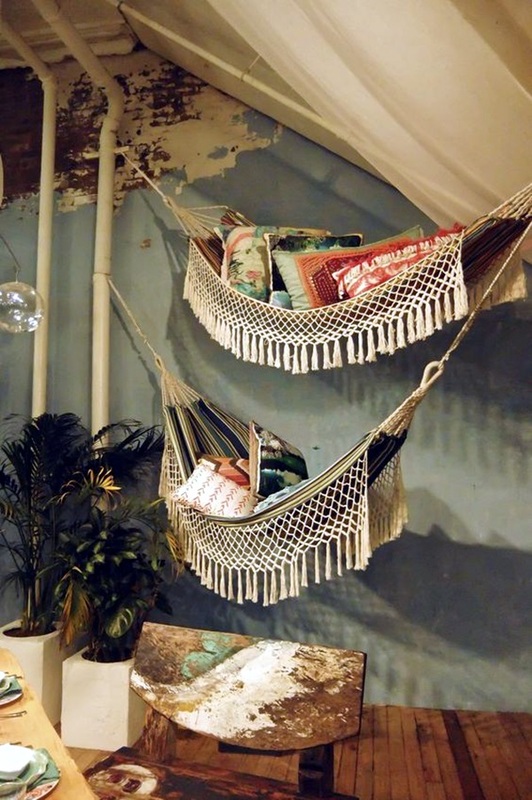 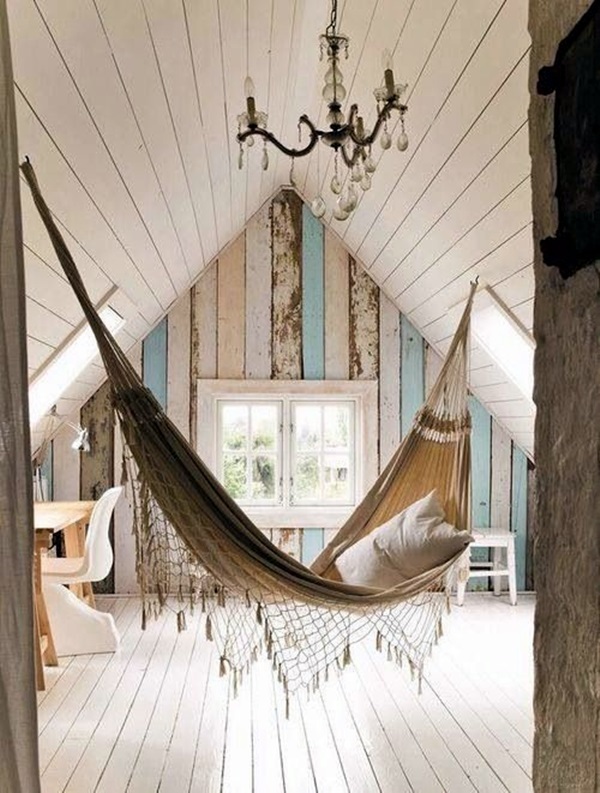 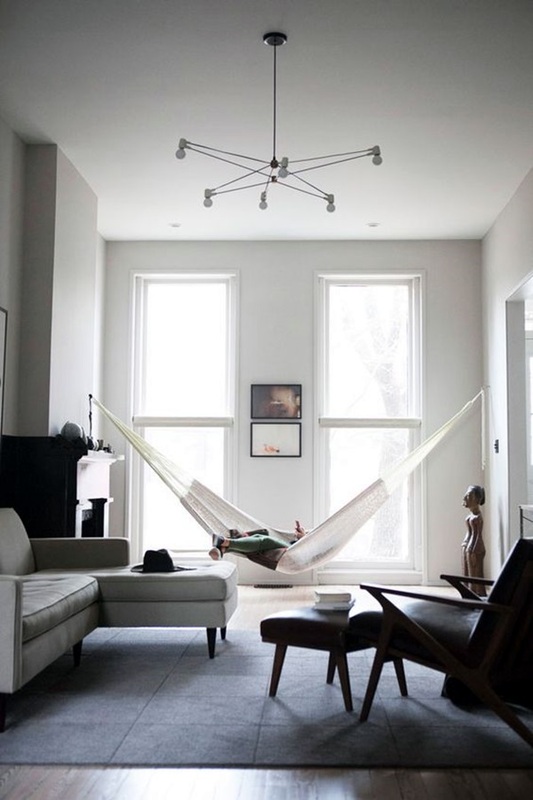 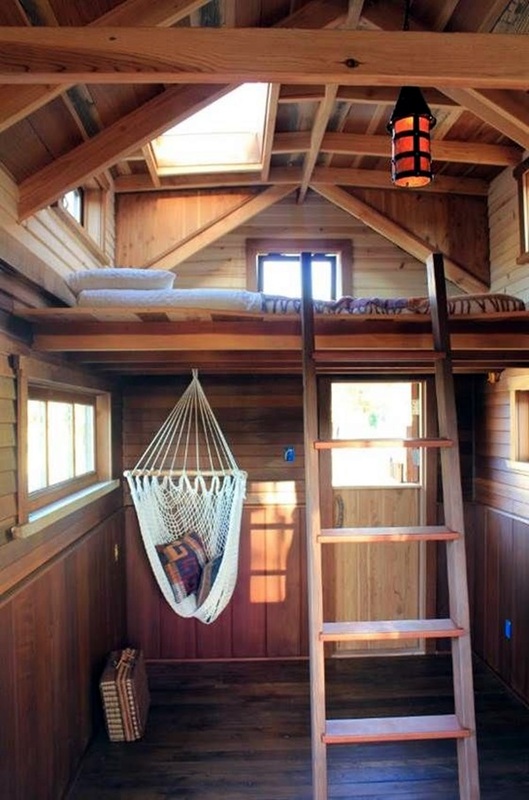 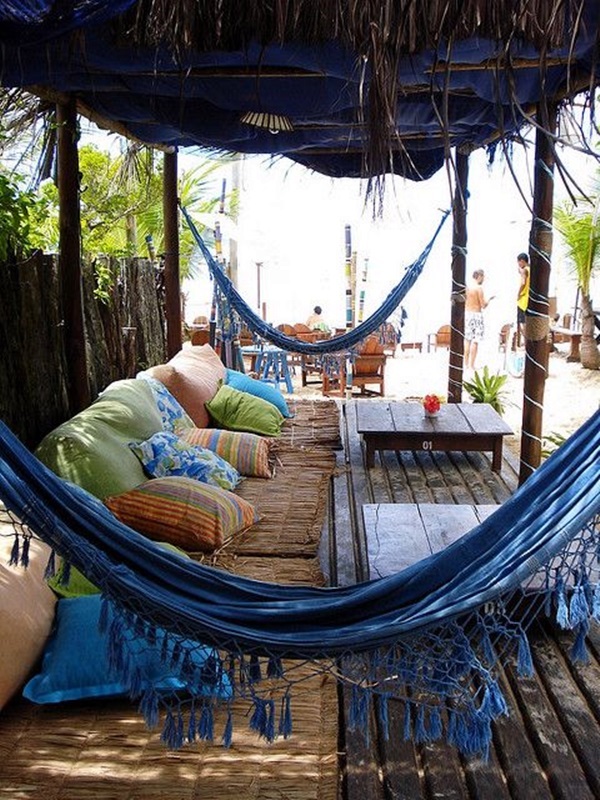 A hammock can be an awesome idea to have when you have the space to hang it. 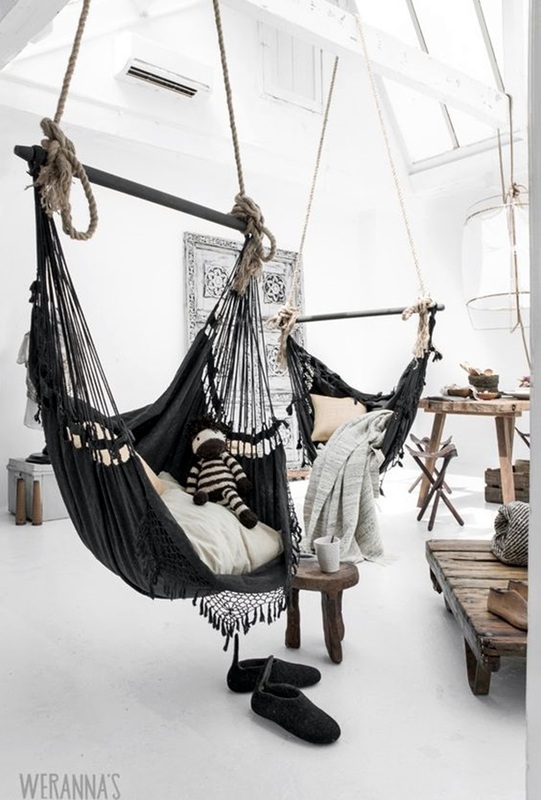 This is an arrangement that requires a certain amount of thought and consideration so that you get it right. 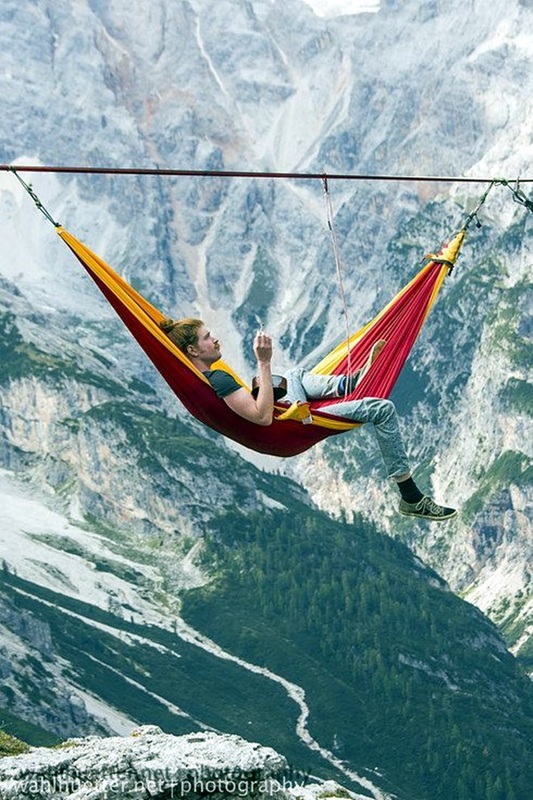 After all, a hammock is not something that you can allow children to get on and gallivant about without keeping in mind safety restrictions and cautions. 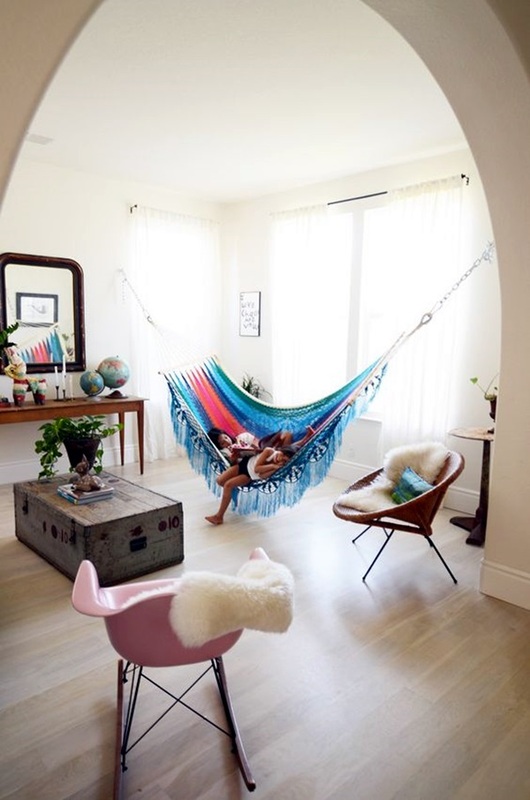 If you feel that the kids in your home or even ones around your home are going to be reckless with the hammock, then ensure that it can be rolled up or unhooked when not in use. 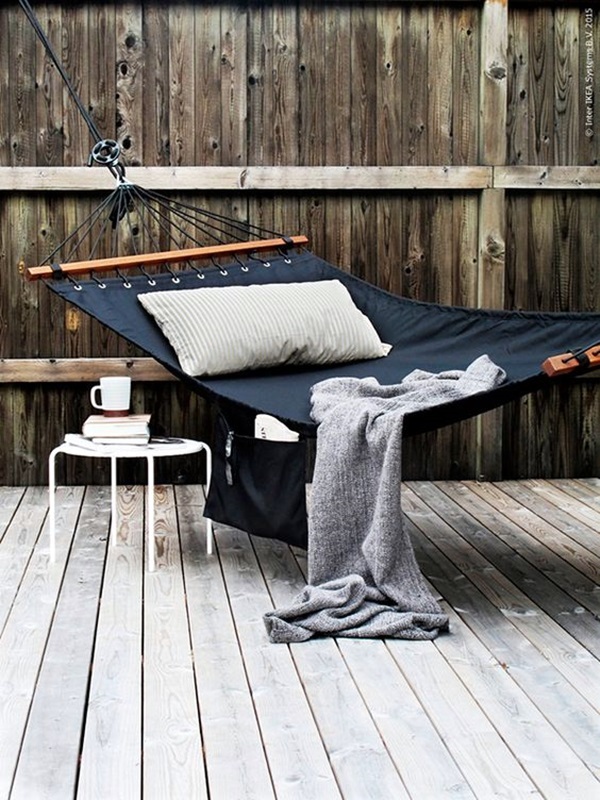 And if you don’t have any of these kind of restrictions, then you can go all out when it comes to your hammock. 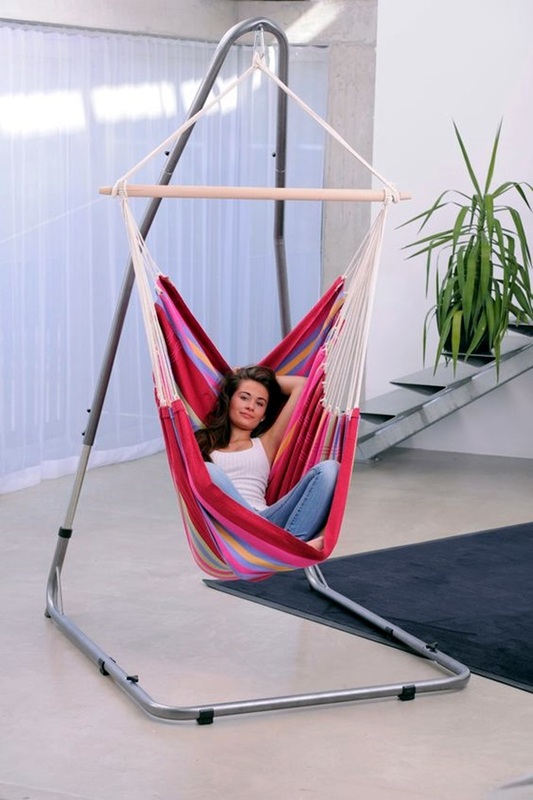 In fact, if you are really smart, you can create extra space for a grown person to sleep on by using the hammock concept. 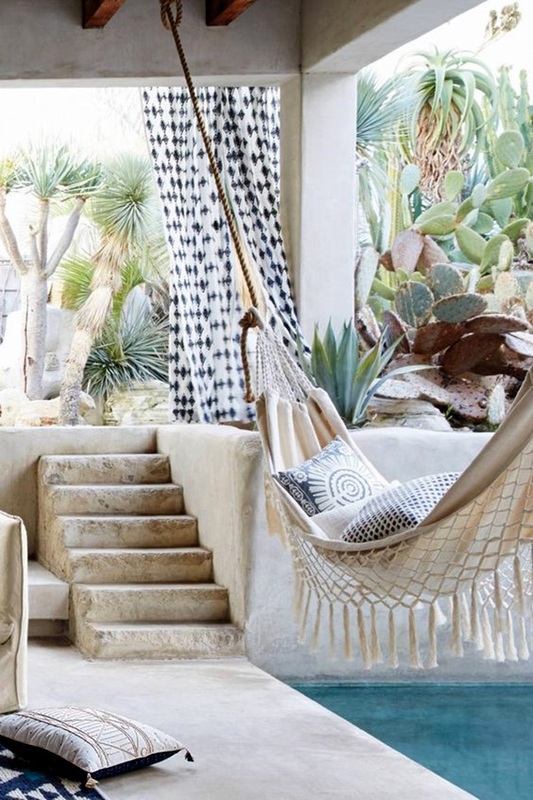 If you are one of those people who likes to make even casual lounging areas or seating arrangements looking pretty, there are plenty of decorations you can reach out for to make it look good and gel with the rest of your decoration. 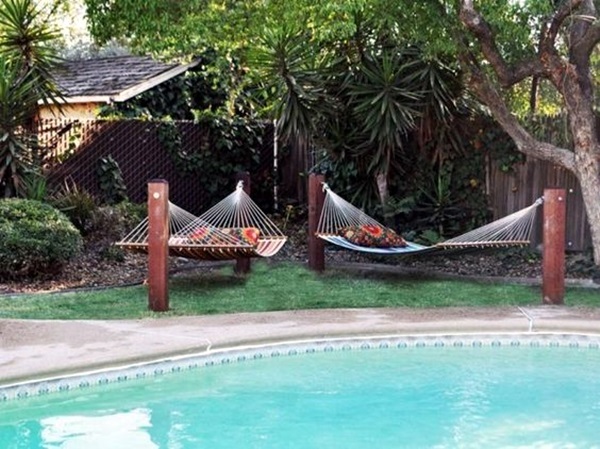 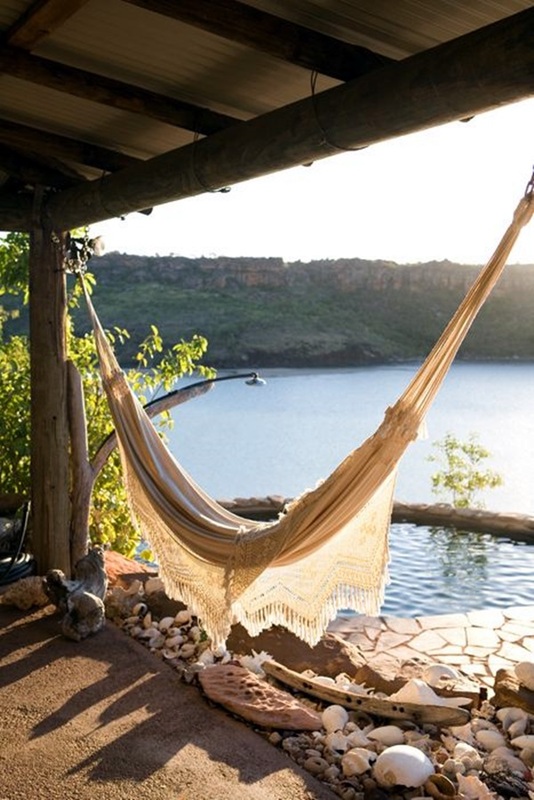 And if you are one of those lucky enough to have access to a waterbody like a lake, pond, pool or the ocean and the opportunity offers itself, you could hang the hammock on the water area or at least within the sight of it. 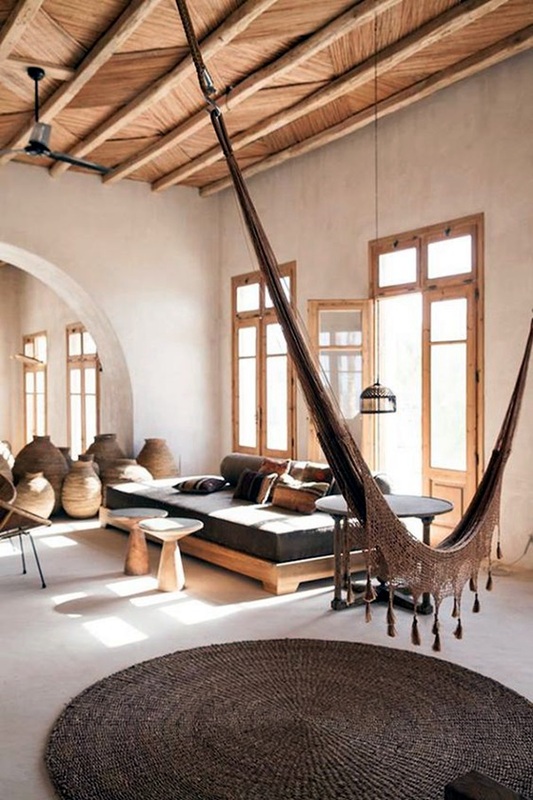 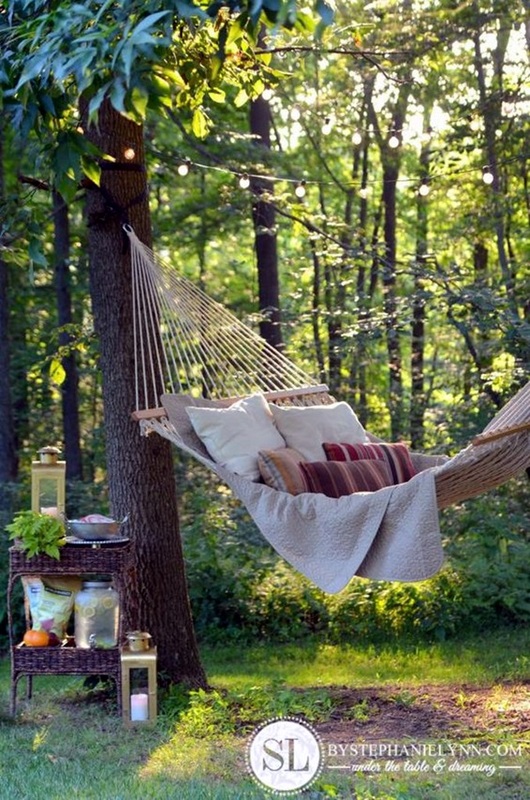 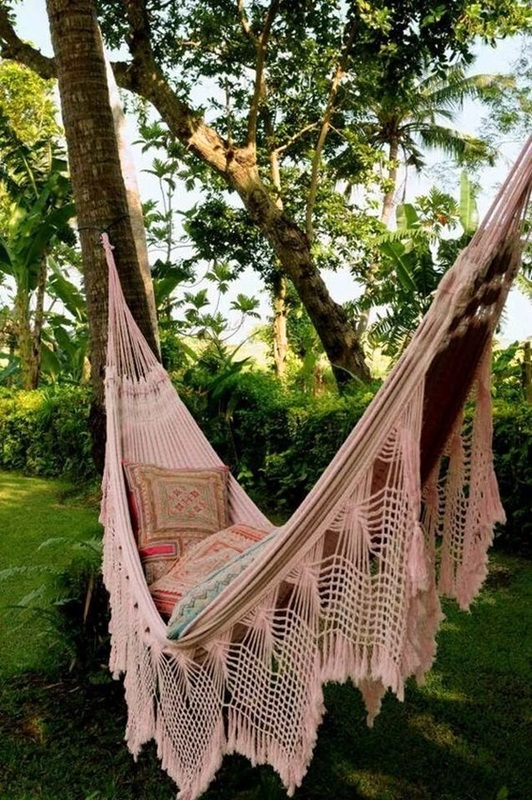 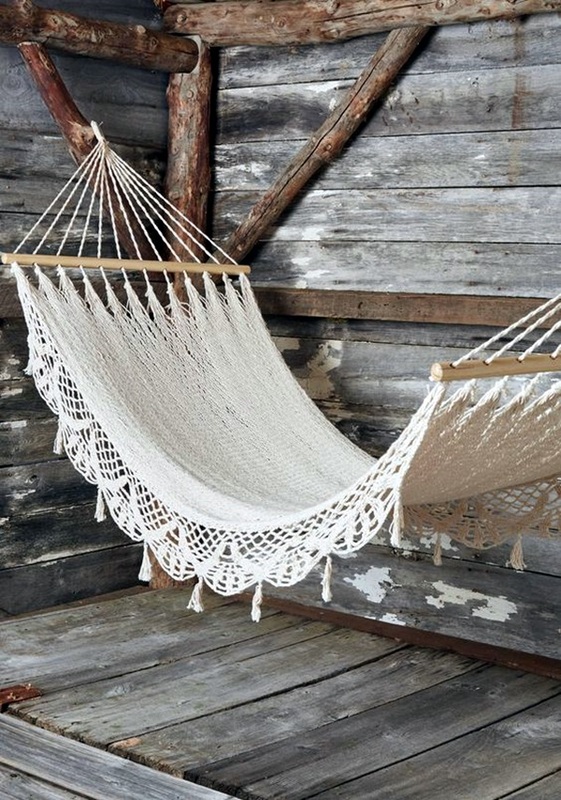 While hammocks by definition are used for outdoor seating, it is best to consider the effects that natural elements like constant wind, sunshine, rain or snow can have on it before hanging it in such places. 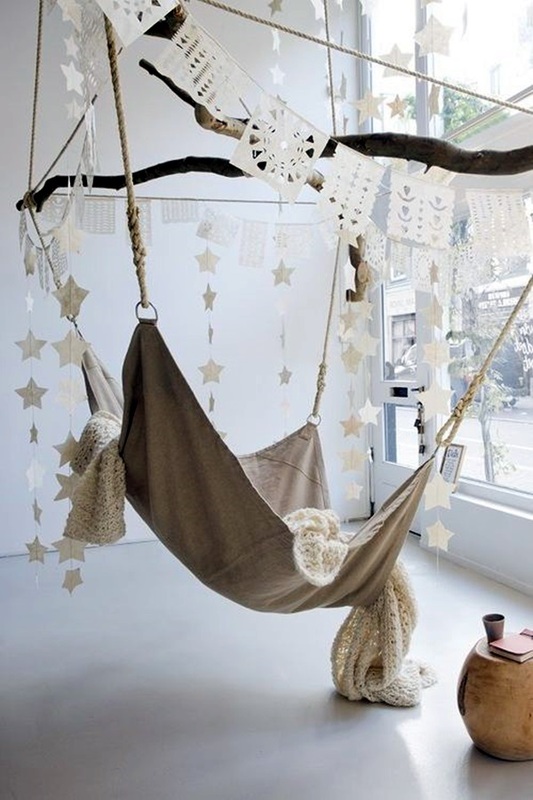 Another caution that we would like you to take is to ensure that you do not make the decoration too fussy. 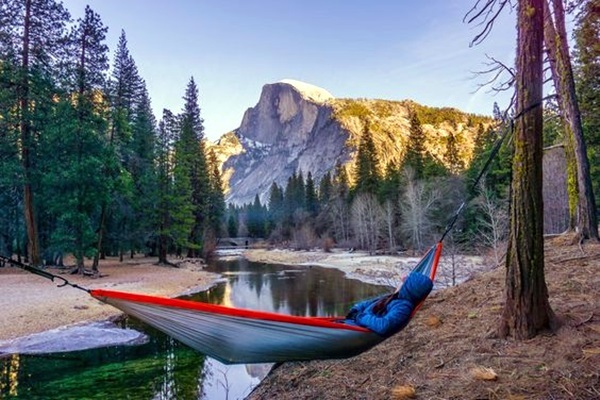 This is because a hammock is for casual use and this means that making it too fussy and high maintenance can nullify the purpose for which you are using it. 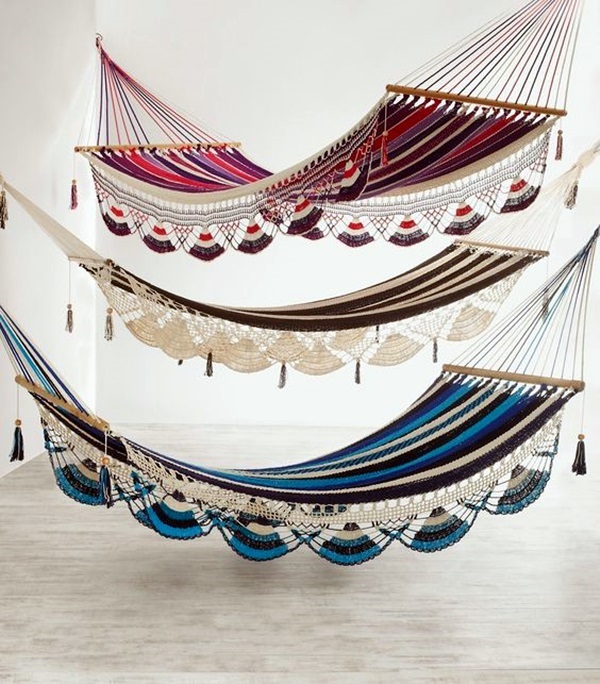 Do look at the images we have given here for hammock arrangements and do tell us which are the ones that are your favorites.